How exasperating is it to hire someone and then 3 - 6 months later they leave? You paid them the going rate, you did not treat them bad, why did they leave? Is your recruiting strategy focused on pay and benefits? Is that getting the results you want? How expensive is it? 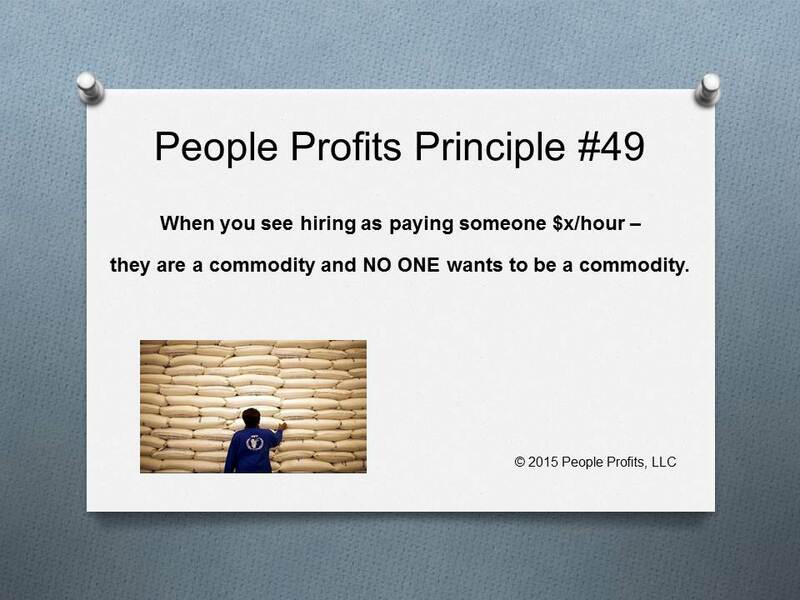 There is more to the hiring and employment relationship then how much someone is paid per hour. Clearly, this is a fundamental piece - but just one piece. It is all the other things that you should be offering in the relationship that will create a reason for the employee to stay and work with you. Let's sit down and talk about it.